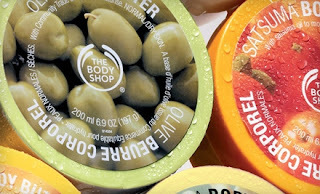 $20 for a $40 Gift Certificate to The Body Shop! Limited Supply! Today's Groupon is $20 for a $40 Gift Certificate to The Body Shop! The certificate is valid at ALL locations. Valid on sale items and "Love your Body Club" Discount! There is a limited quantity available so if your city is sold out check another one under Visit More Cities. Expires 2/25/11...Christmas gifts! !